This was the community center for TAMPA (Taxpayers Association of Motor Parkway Acreage. 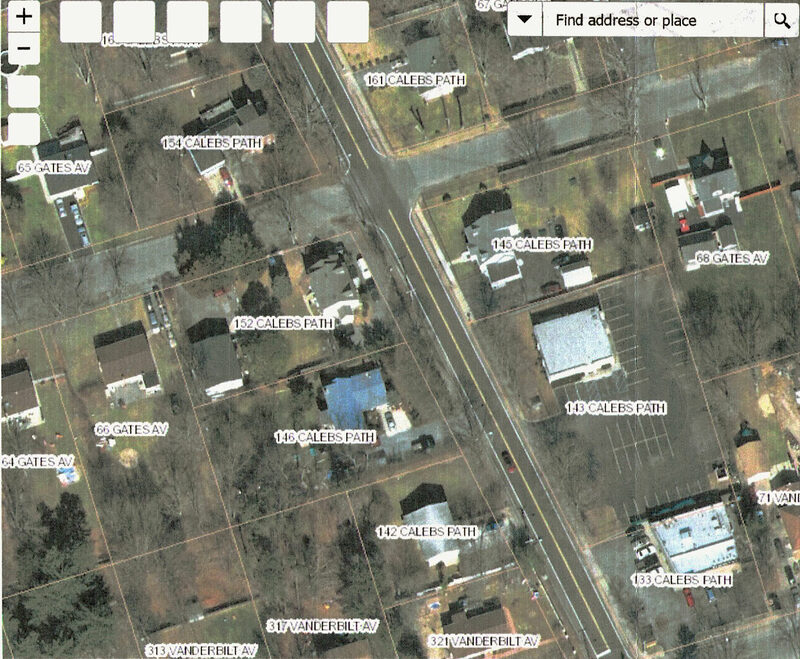 It was located on Caleb's Path and Gates Avenue in East Brentwood. 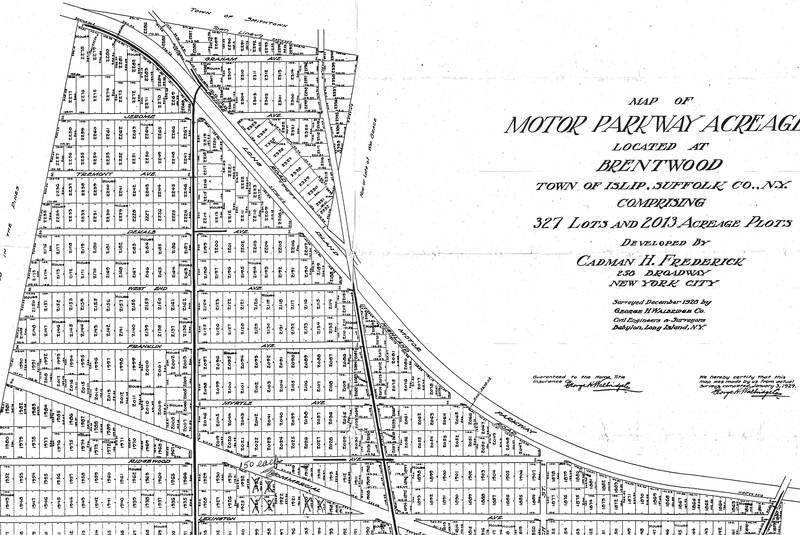 How was it associated with the Motor Parkway? The Motor Parkway ran through the Brentwood property known as the Motor Parkway Acreage. The development was named in recognition of the importance of the Long Island Motor Parkway in Suffolk County. What functions were held in the building? As described in Jason Klosowicz's Arcadia book on Brentwood, the TAMPA Hall was "used for community meetings, social events, social events, lectures and parties well into the 1950s." Congrats to Greg O., Steve Lucas, Brian McCarthy and Joe DeBono for correctly identifying the TAMPA Hall. 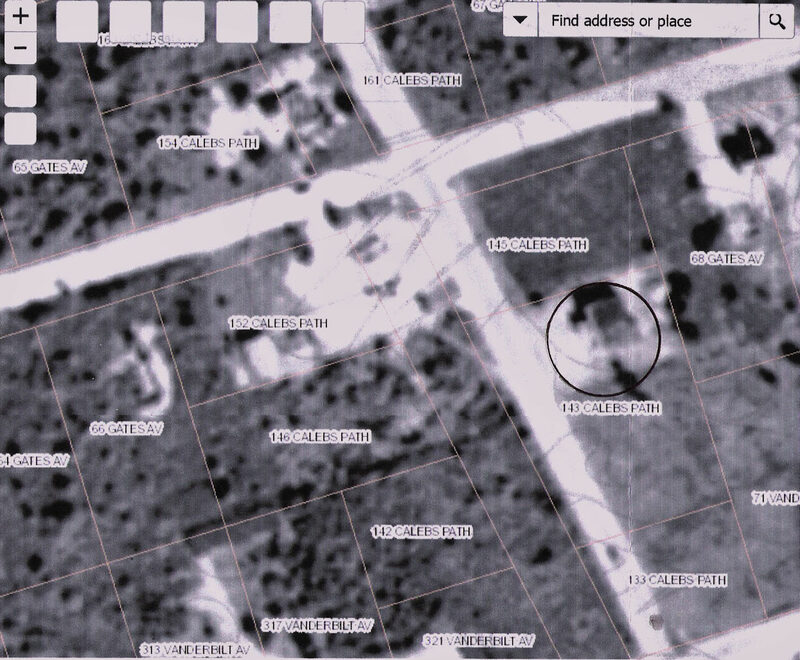 Kudos to Brian McCarthy for forwarding aerials of the Hall and a current photo (see below McCarthy's Mappings). Caption in Jason Adam Klosowicz's Arcadia Book "Brentwood"
In 1926, Cadman H. Frederick purchased 2,013 acres in Brentwodd to develop 327 lots. 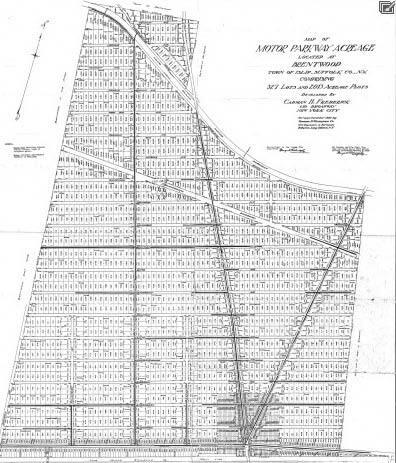 The northern section of the property bordered primarily on the Long Island Motor Parkway. Recognizing the importance of the nearby parkway, Frederick named his property the "Motor Parkway Acreage." 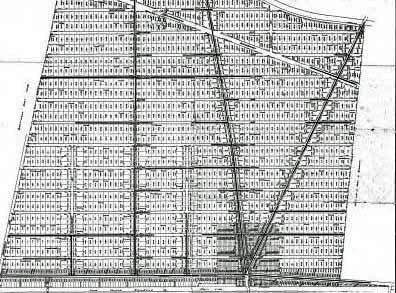 The southern section of the property bordered on the Long Island Railroad. The Long Island Ghanaian Seventh Day Adventist Church is currently on the site of the TAMPA Hall. Stumped! Oddly, this structure is similar in size/configuration to John Russell Pope’s lodges. The windows appear the same and it’s receiving electricity but no chimney to heat the unit. The communications antenna places this at least the ‘30s. Unlikely a prototype lodge. 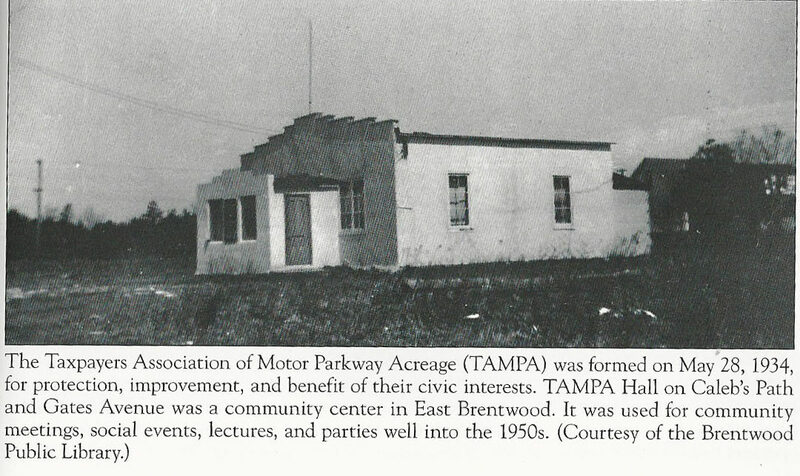 That was TAMPA Hall built for the Taxpayers Association of Motor Parkway Acreage, a civic organization, and was located on the corner of Caleb’s Path and Gates Avenue. It was used for meetings and social events primarily by the residents of a specific sub-division of Brentwood near the LIMP. 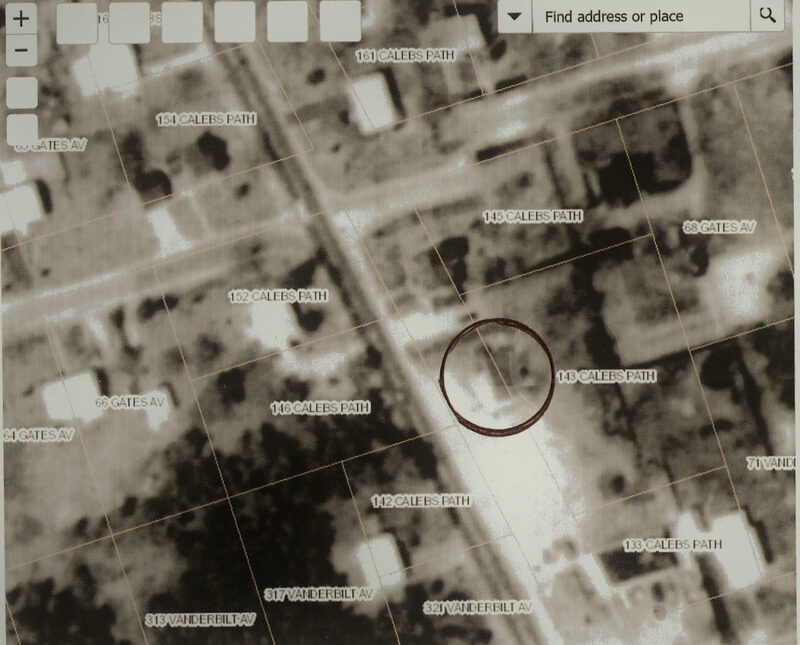 This building seemed familiar, and I ended up “re-finding” this image on your 9/16/2015 Blog “1926 Map of the Motor Parkway Acreage in Brentwood” ( TAMPA ). 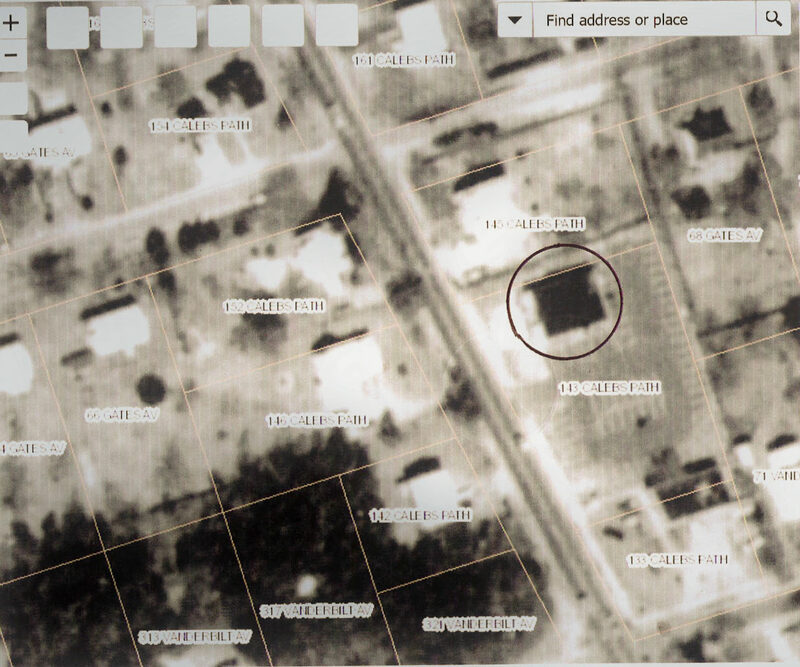 The attached aerials courtesy of Suffolk County imaps display this building in 1947,62,78. 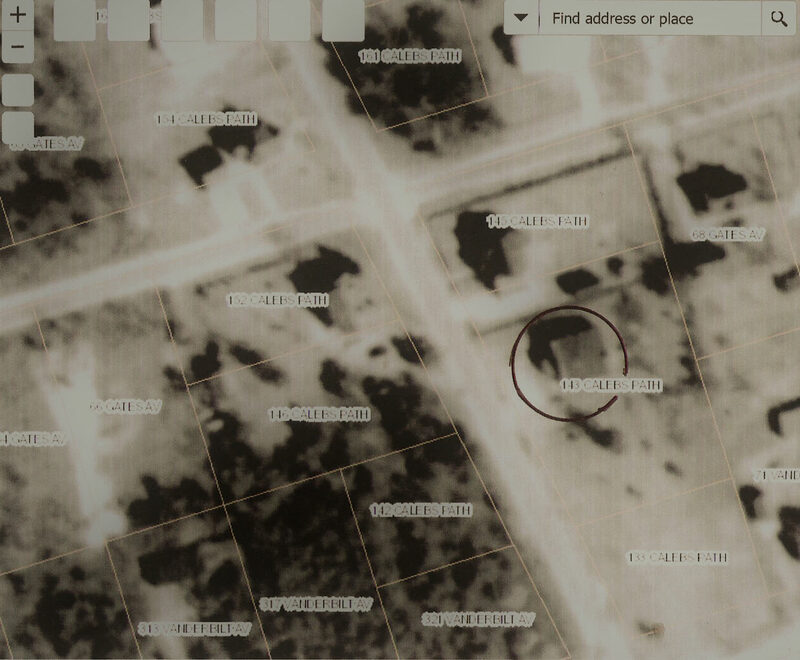 Then in 1984 till 2016 it’s a new structure, but within the same property ( 143 Caleb’s Path, Central Islip ). 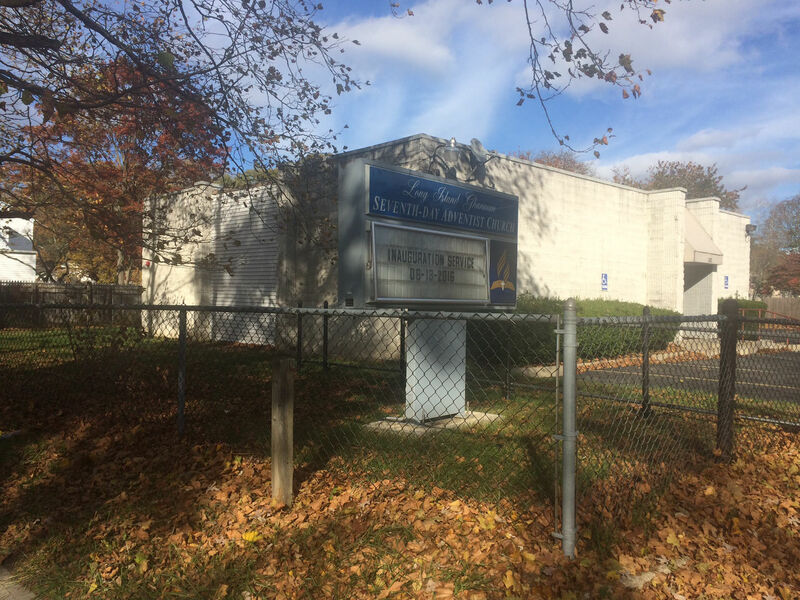 This newer building is the “Long Island Ghanaian Seventh Day Adventist Church”. I snapped a photo of it today (see above).